Salesforce has also named IBM a preferred cloud services provider and IBM has named Salesforce its preferred customer engagement platform for sales and service. As a part of the extended alliance, IBM will build new IBM Watson Quip Live Apps, bringing the power of Watson and Quip together. These interactive custom-built applications will be embedded directly into any Quip document and are aimed at increasing the effectiveness of sales teams across the lifecycle of an opportunity. Building on the back of the first IBM and Service Cloud integration, the companies will also bring IBM Watson and Service Cloud Einstein together to deliver new AI-driven recommendations for next-best actions. Digimind has taken the wrappers off enhanced listening and analytics capabilities to international offline sources, aimed at giving brands access to pieces of market knowledge from more than 2000 international TV and radio sources. With Digimind Social, organisations now have access to 850 million online data sources, integrated with more than 2000 TV and radio sources. Digimind Social tracks a mix of international sources such as BBC, CNN, and CNBC as well as sources unique to 21 countries across North America, Europe, Africa, Oceania and Asia. It monitors brands and topics mentioned by applying natural language processing (NLP) technologies in more than 61 languages, recording and processing 52,000 hours of content per day and delivers 1.4 billion lines of text per month. Cardlytics filed for a $75 million IPO in early January, and will list on the NASDAQ under the ticker 'CDLX'. 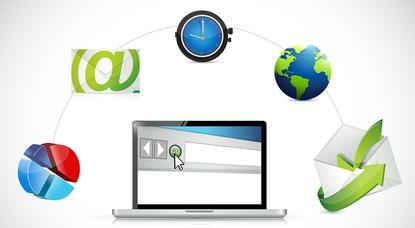 Cardlytics is a cross between a big data offering and a marketing technology play. Its software has analysed $1.3 trillion across 18 billion consumer transactions to provide marketers with data-driven insights. The company has raised $200 million in the private markets to date and is backed by Discovery Capital, Kinetic Ventures, Canaan Ventures, and several other VCs. It also boasts of 20 per cent year-on-year growth and is at a $120 million revenue run-rate. Kantar TNS and Qualtrics have struck an alliance to bring together Kantar TNS’s worldwide network of customer experience research, end-to-end platform implementation, smart analytics and activation, with the Qualtrics Experience Management Platform. The partnership is designed to provide clients with holistic customer experience capability, delivered through integrated technology, to identify, optimise and activate customer insights in order to lift their customer experience game. ASX-listed engage:BDR has launched its new Influencer Marketing Platform, ‘IconicReach’ at the Sundance Film Festival. IconicReach, which has been developed by engage:BDR over the past two years, aims to streamline the process of sourcing, transacting, and executing influencer marketing campaigns. The single platform allows a buyer to browse, research and contact influencers, as well as pay for and measure campaigns. The company is focusing its attention on aggregating a large number of micro influencers (those that have between 10,000 and 100,000 followers) for campaigns. The company claims micro influencers have engagement rates of 4-10 per cent compared to macro influencers, where engagement rates are generally between 1-3 per cent. Engage:BDR has already signed up more than 150 influencers with an audience of more than 100 million total followers. The new platform is expected to sign up 2500 more influencers in the next 12 months. Taboola claims its self-service platform has reached a run rate of nearly $100m just over a year after it was released. The discovery platform serves over 450 billion recommendations of articles, blogs, videos, products and apps to over one billion unique users every month on thousands of sites and mobile carriers. Taboola’s Self Service platform offers marketers and advertisers the ability to target multiple audiences, manage budgets, A/B test creatives via an integration with Getty Images, and view real-time reports in order to optimise campaign performance as needed. Taboola said it continues to invest heavily in its self-service platform with new targeting and reporting capabilities. In 2018, one of the platform’s core goals is to create features that help automate the campaign management process. Audience data provider, Eyeota, has secured US$12.5 million in series B funding to expand its product offering and global footprint. The company claims to have more than 3.5 billion unique profiles across Asia-pacific, Europe and the Americas. The latest funding round was led by private equity firm, Jolt Capital, joined by new investors, Project A Ventures and Qualgo. Eyeota raised $8 million in funding 12 months ago. Eyeota said it plans to use the cash injection to support product development and expand its team. It comes after a year which saw the European-based business expand into North America, as well as strike new partnerships with regional publishers and offline data suppliers. The company claimed this has allowed it to expand data segment availability by nearly 50 per cent. Pureprofile is extending its 10-year relationship with Confirmit data collection, panel management and analytics solutions. Pureprofile uses the Confirmit Horizons platform on US, UK, and A/NZ SaaS environments. The partnership will provide Pureprofile with a new level of scalability and reliability to meet the needs of its customers. Pureprofile managing director A/NZ, Kelvin Kirk, said its business is based on ensuring a positive survey experience in order to deliver accurate insights to clients. “That means we need to use a platform that is extremely secure and reliable and which we know we can trust to support us,” Kirk said.